Before i purchased my 2014 SRX in June 2018, I never test drove it at night. First mistake! After i sealed the deal, I drove the car at night. I could NOT see the road. The headlights were so dim anything could have ran out in the road and I'd not be able to stop in time before I hit it. I called the dealer, they said they could replace headlight bulbs. No better. They offered to install after market LED box that connects to the headlights. I was told " We have a bunch in stock". WHY would a cadillac dealer have "A bunch in stock" of an after market item if there is nothing wrong with the SRX headlights ?? After this I contacted GM directly. They would not admit there was a problem with the headlights and only offered me a $100 credit at the dealership if i needed any type of service. 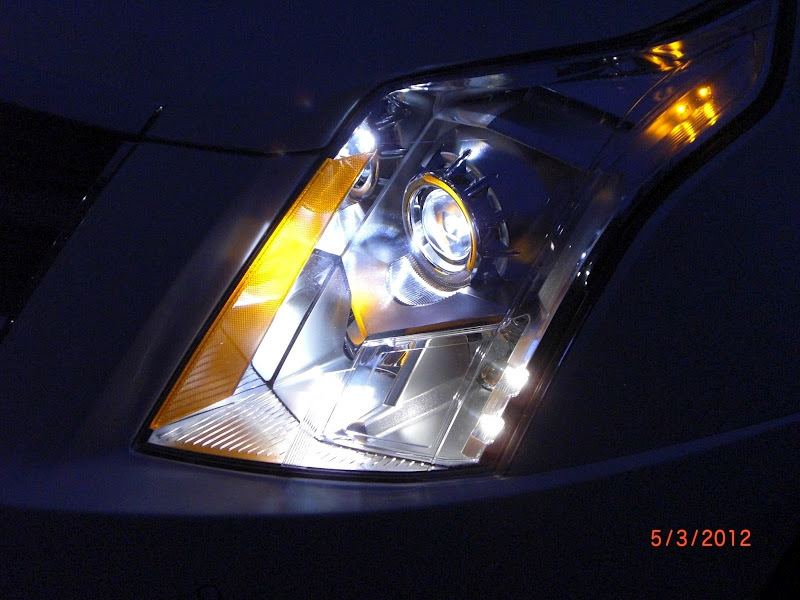 I have done some research and see that there is a Class Action Lawsuit currently going on for 2010 - 2015 SRX models for dim headlights. Has anyone else had a problem like this? If so, what have you done? Congrats on the new car and sorry to hear you're not happy with the headlights but we've heard of this complaint before from other forum members and customers. I would recommend upgrading your headlights to an HID Kit or LED Kit to improve the light output. Of the two, HID would be the brightest option and because you have projector headlights then it makes it a great candidate for this plug n play upgrade. I have not noticed this on my wife's 2014... interesting.